3D Bioprinting has opened doors we never thought were possible. This technology is set to change the way we think about aging and treating disease. Medical technologies are in such high demand, therefore 3D Bioprinting is without a doubt high in the ranks. In an age where new medical technologies are in such high demand, wouldn’t a 3D bioprinter be useful? 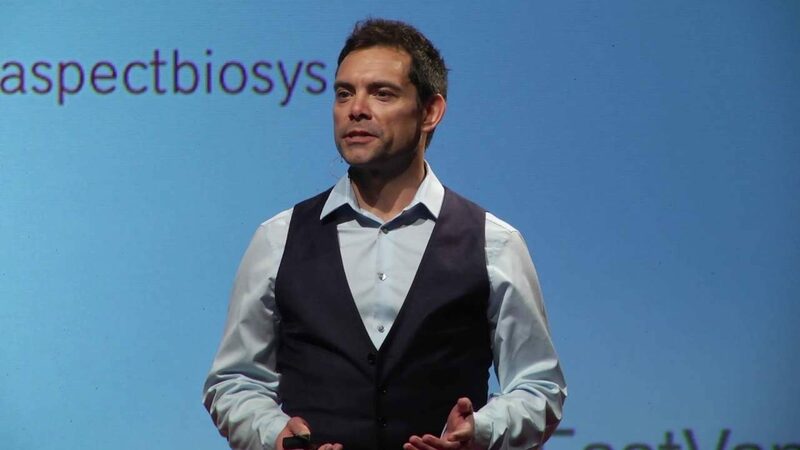 In this talk, Dr. Sam Wadsworth explains he sees a future full of bioprinted human airways and organs. Sam is a scientist, inventor, and entrepreneur. He completed his Ph.D. in respiratory cell biology in the UK before relocating to Vancouver in 2007 to work as an academic researcher at St. Paul’s Hospital. In 2013, Sam co-founded a biotechnology company that uses a unique bioprinting technology that has the potential to revolutionise how we treat disease and the ageing process. He sees a future where human tissues can be provided on demand, where donor organs are built, not harvested, and where drugs are tested on bioprinted artificial tissues, not animals. BIOPRINTING HUMAN ORGANS: SAVING LIFE OR REDEFINING IT? Bioprinting, though a fairly new concept, has a very promising future. The waiting list for an organ transplant is over 120,000 people! Bioprinting would drastically decrease this number. However, if we were to allow people to use this as a new means to replace failing organs, what would it mean for the future of our society? In the video shown within this article, Dr. Sam Wadsworth explains how he sees a future filled with bioprinted human airways and organs. Dr. Wadsworth is an inventor, scientist and entrepreneur. Dr. Wadsworth co-founded a biotech company that uses a unique 3D technology that has the potential to change the way we treat diseases and the aging process. Click on the article below and watch his video to learn more.